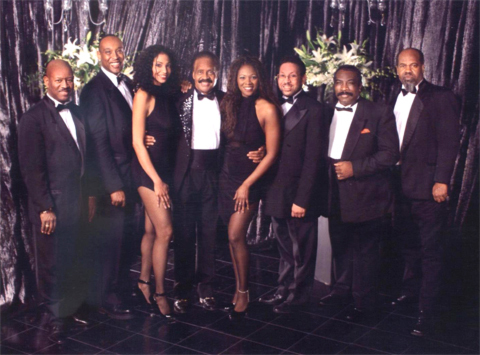 The repertoire of music of The Jimmy Church Band spans the fifties to the nineties, featuring the music of such artists as the Drifters, the Spinners, the Platters, the Temptations, Four Tops, Sam Cooke, Marvin Gaye, Lionel Richie, Wilson Pickett, the Tams, and Maurice Williams. The Supremes, Martha and the Vandellas, the Marvalettes, Aretha Franklin, Mary Wells, Tina Turner, Whitney Houston, Mariah Carey, Madonna and many others. The Jimmy Church Band also performs current hits from today’s Top 40 music charts. Jimmy Church, Jimmy Church Band and The Jimmy Church Band, featuring Honey, Spice, and Sugar, is one of the Mid- south’s finest dance/party/show bands. The Jimmy Church Band has performed for such events as the Inaugural Balls for Governors of the States of Tennessee, Arkansas and Kentucky. The Jimmy Church Band has been engaged to entertain at functions given by Coca-Cola Company, Pepsi Cola, Toyota, Frito-Lay, Xerox, and the Cotton Growers Association, just to name a few. The Jimmy Church Band has entertained at Country Clubs, for private clubs and organizations, college and university fraternities and sororities, at Bar Mitzvahs and Bat Mitzvahs, as well as for wedding receptions. The Jimmy Church Band is one of the mid-south’s leading dance and show groups. This high-energy band consists of a rhythm section, horn section, dazzling choreography and the titillating voices of two beautiful female singers. In performances for the U.S. Military, The Jimmy Church Band has traveled to Germany, Italy, Greece, Spain, Turkey, Panama and the Azores.